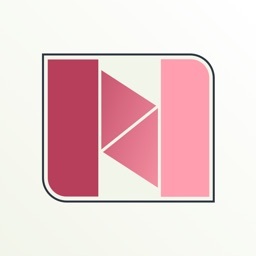 Featured in Macworld’s “Alternatives to Apple’s iOS Music app”, Picky is for people particular about their music, giving you full control over how you browse and listen to your albums and songs. 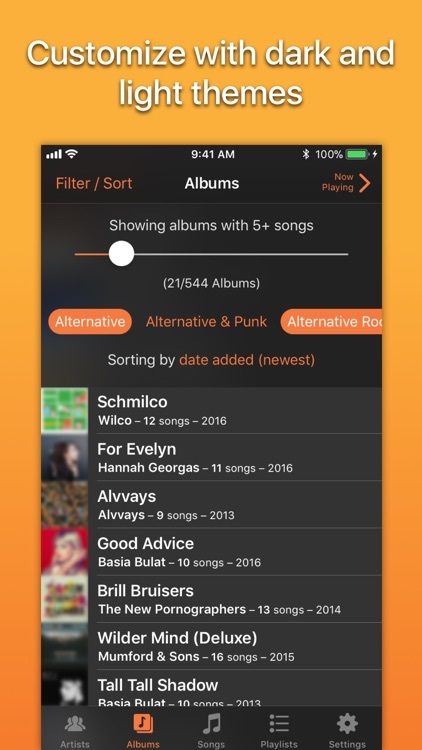 ‣ Picky keeps your Artists and Albums lists uncluttered by hiding those with only a few songs – simply adjust the filters to taste. 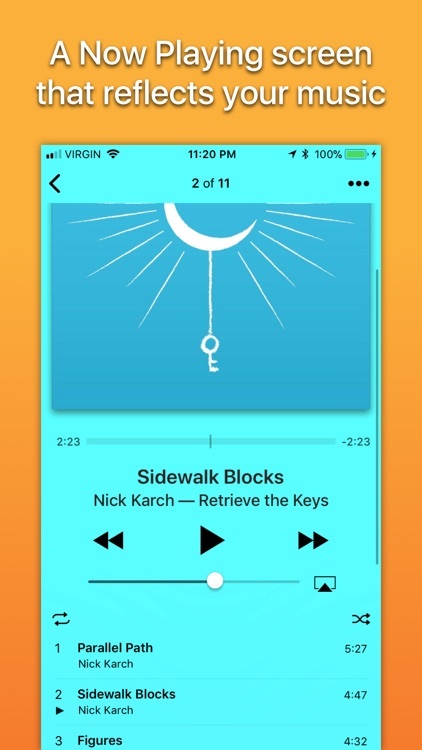 ‣ Queue up tracks to play later: simply swipe to the left on a song until the ‘+’ icon appears and turns solid orange, then let go to enqueue it. 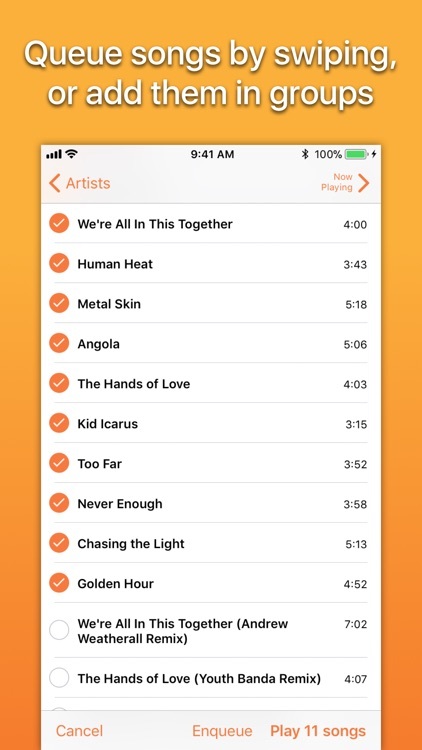 ‣ Use Picklists to quickly play (or enqueue) groups of songs – like playing an album without its bonus tracks. 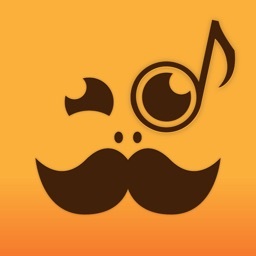 ‣ Picky lets you easily filter your Songs and Albums lists by genre (or by multiple genres). You can do things like quickly put together a mix by opening the filter, tapping on a few genres, and then closing it and tapping Shuffle. 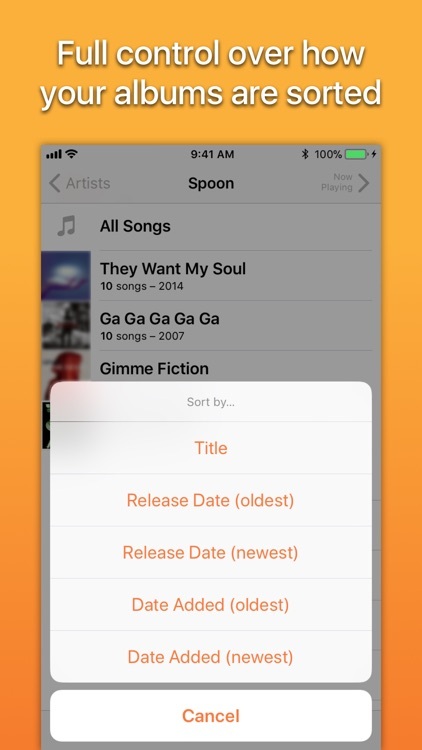 ‣ Easily sort the main Albums list or artists’ album lists with just a couple taps: by title, release date, duration, or by date added to your library. 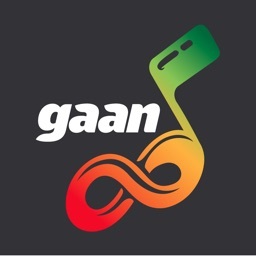 ‣ You can use the Artists and Songs filters to keep singles and one-hit-wonders tucked away, or bring them into focus when you really want to listen to them. ‣ Picky intelligently combines both grouping by artist and by album artist, so you'll always find your songs where you expect them to be. But if you prefer just one of the groupings, you can easily change that with a setting. 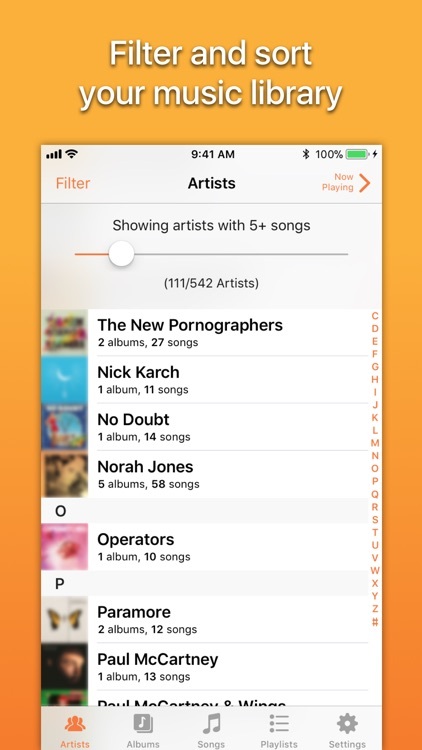 ‣ Quickly see the list of your currently playing songs by simply swiping up in the Now Playing view. 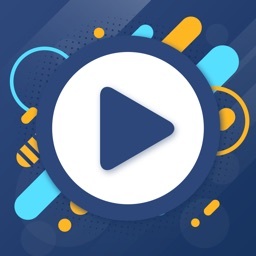 ‣ Picky is designed for iOS 12 and works with AirPlay 2, in-line headphone remotes, Split View, Control Center, 3D Touch, VoiceOver, iTunes Match, and Apple Music that has been added to your collection. 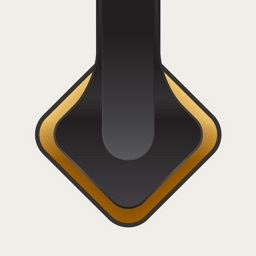 You can use Picky exclusively or seamlessly switch between it and the system Music app. 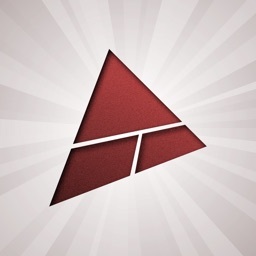 Picky: for listeners with refined taste.